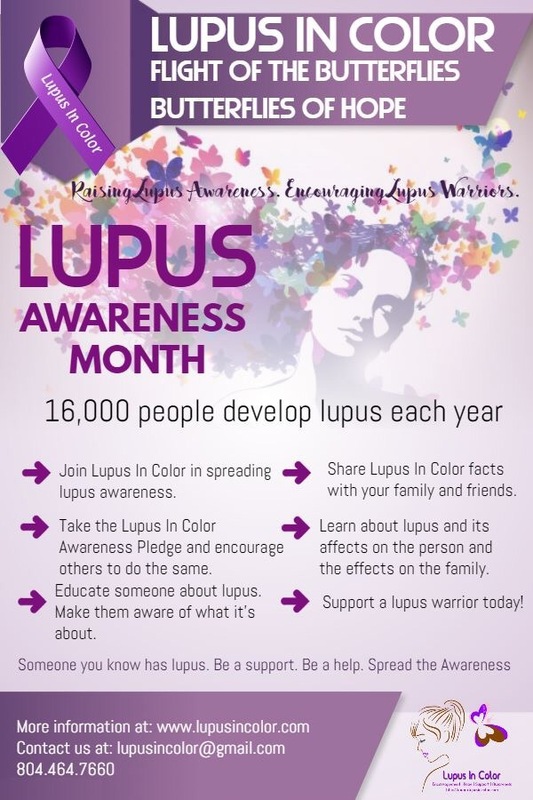 Join Lupus In Color in spreading lupus awareness. Share Lupus In Color facts with your family and friends. Take the Lupus In Color Awareness Pledge and encourage others to do the same. Learn about lupus and its affects on the person and the effects on the family. Educate someone about lupus. Make them aware of what it’s about. Support a lupus warrior today! Someone you know has lupus. Be a support. Be a help. Spread the Awareness!